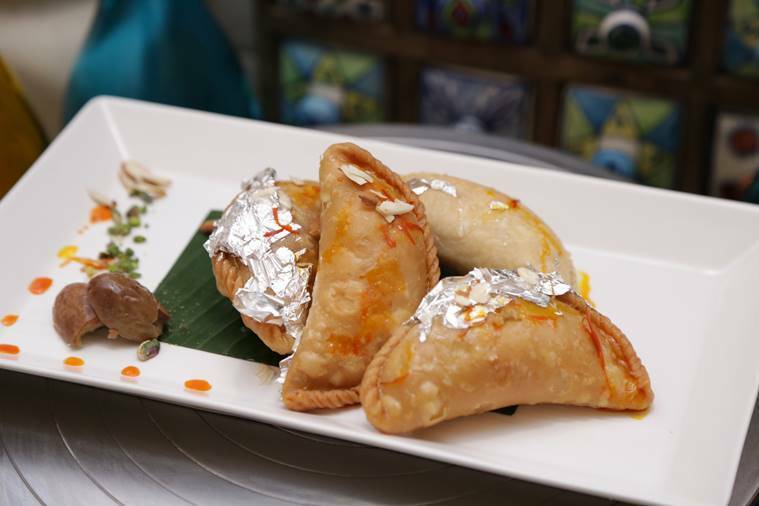 With Holi just around the corner, we have curated a list of delicious Holi recipes that will add warmth to your celebrations. * For making this dessert recipe, mix maida, corn flour and baking soda in a bowl. * Add ghee and orange food colour in the above mixture. To make a thick batter, add curd and water. * Mix well until it is thick but has a pouring consistency. Keep it aside for 8 hours or overnight. * To make the sugar syrup, heat water in a pan over medium flame. * Add sugar and mix until fully dissolved. Simmer the syrup until it attains one string consistency. * Add saffron, cardamom powder and rose essence. Stir well. * Heat oil in a pan over medium flame for deep frying. Now fill the jalebi batter in a muslin cloth and pierce a small hole in it. * Squeeze the muslin cloth to make concentric circles. Fry till jalebis are crisp and golden. * Soak the jalebis in sugar syrup for 2-3 minutes. Ensure that the sugar syrup is warm and not very hot. Now remove from the syrup and place it on a tray lined with butter paper or foil. 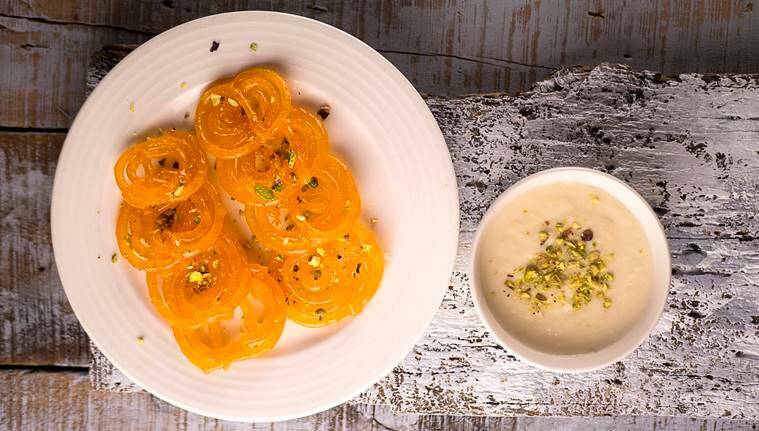 * Decorate with silver foil and serve the jalebis hot, warm or at room temperature with creamy rabri. * Serve hot jalebi along with milk. * Boil the potatoes and cook until soft. * Meanwhile, fine chop green chilies, coriander and grate the cheese. * Once the potato is cooked peel them carefully and grate. * Now, melt butter in a pan on a low flame and add chopped green chilies and toss it. * Quickly add the grated potato and mix well, cook until the mash is steaming hot. * Add salt and coriander, remove from the flame and let it cool. * Once cooled, mix in the grated cheese (processed and mozzarella cheese). * Mix all the ingredients together until dough becomes dry and flaky. 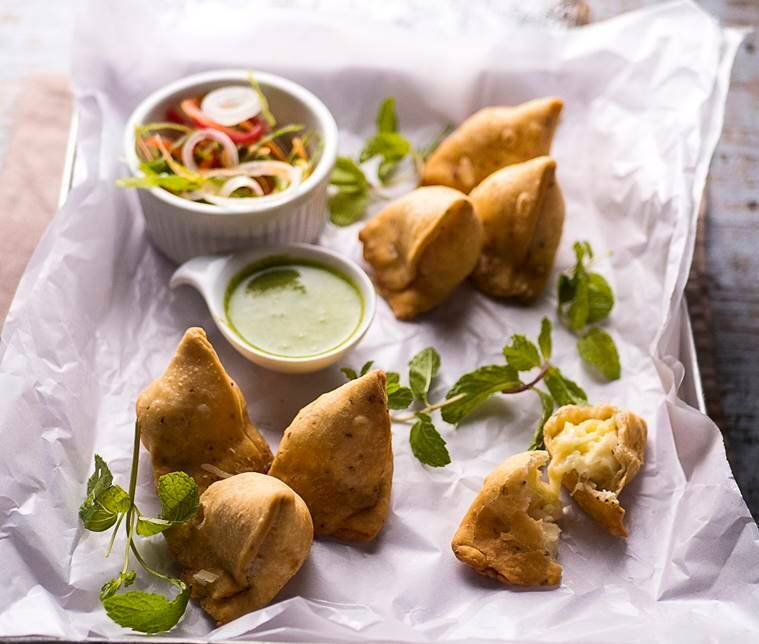 * Prepare small dough balls and roll it into chapattis of about six inches. * Cut chapattis into two halves. * Take mixture for stuffing at the center and fold inside. * Seal from all edges and prepare triangle samosa fold. * Deep fry and serve hot. * Roll in the naan dough in triangle shape and half-cook it in the tandoor. * Spread makhani gravy and cheese on top. * Add chicken and onion rings as toppings. * Lift the pizza base using a shovel and place it in the pizza oven. * Cook the pizza in the oven pre-heated at 240*C for about eight minutes. * Once cooked, remove from the oven and place on a cutting board. * Using a pizza wheel, cut it into eight uniform wedges. 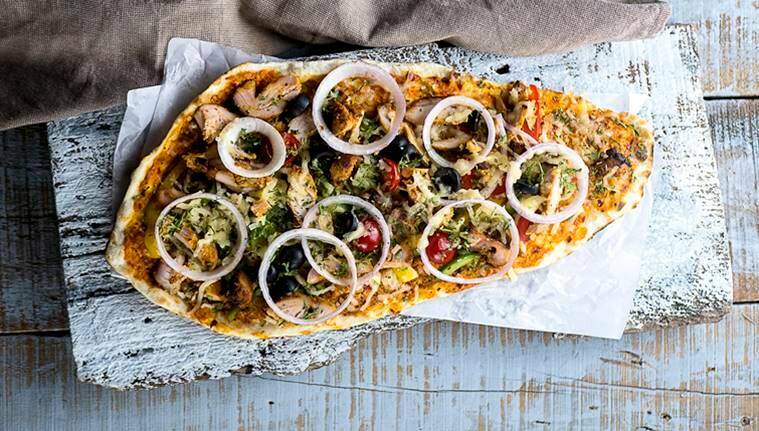 * Serve hot on a pizza plate sprinkled with coriander. * Sieve the flour. Mix the maida with oil. Using fingers, mix well so that it takes the form of bread crumbs and binds to a certain extent. * Now add some water and knead lightly. Keep adding water as required and knead into soft but tight dough. Set aside and cover. * Mash the khoya and fry it in a kadhai till it turns light brown in colour. * Add sugar and cardamom powder into the khoya and mix well. * Add almonds, cashew, coconut and raisins. Fry for two minutes. Allow it to cool. * Divide the dough into small balls and roll each ball into a small round of four-inch diameter. * Fill half the round with the khoya mixture and with sweetened rose petals (gulkand). * Fold it and seal the round, twisting the edges inwards. Take care that the filling doesn’t ooze out. * Heat ghee in a pan and deep fry the gujiyas in batches on a medium flame. * When golden brown in colour, drain and remove. * Arrange on a plate and cover with chandi verk and pista.